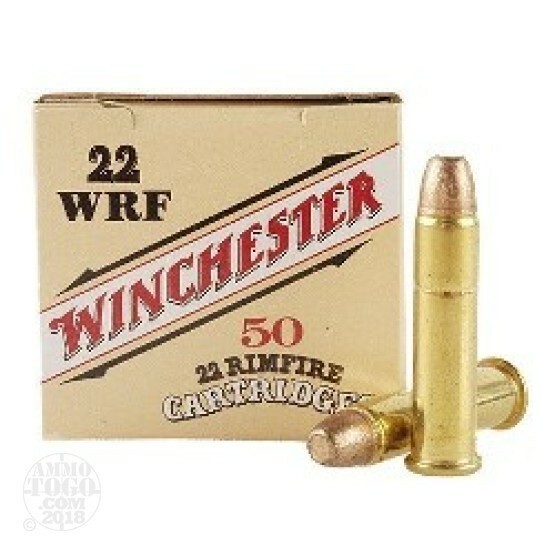 This is .22 WRF Winchester 45gr. Copper Plated Flat Nose Ammo. This ammo is a limited production for the .22 WRF Rifles. It is packed in 50rd. boxes, 5 boxes per brick.